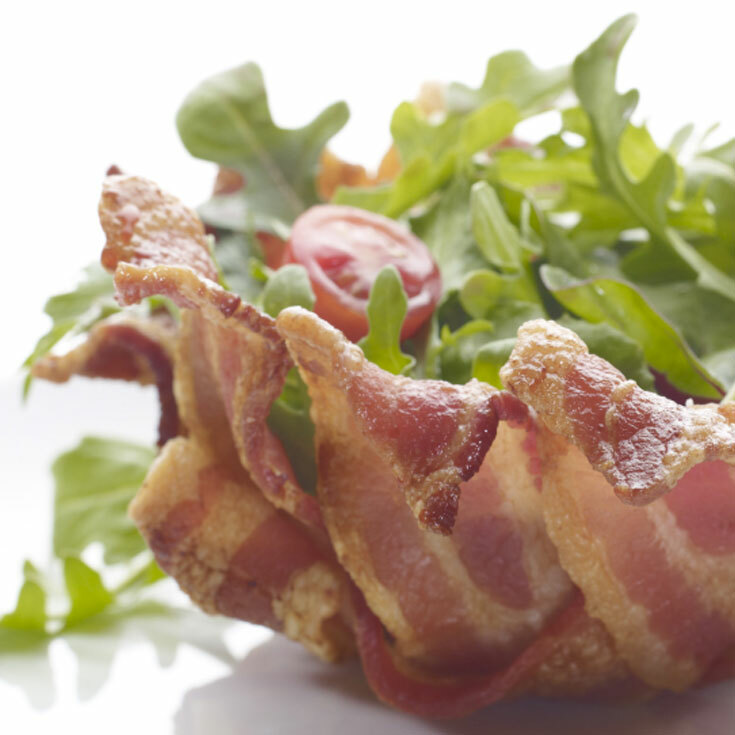 Delight family and guests with these edible salad cups made from Kunzler bacon. Preheat oven to 400°F. Carefully form foil over the back of a muffin pan. Do not coat with cooking spray; it is easier to remove. Wrap bacon slices around muffin tin. Bake bacon until desired crispness. Remove pan from oven. Cool and remove bacon from pan. Prepare salad and fill cups.